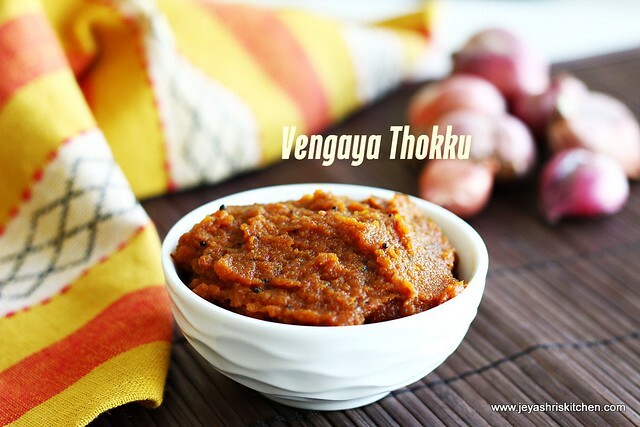 Vengaya thokku|Onion Thokku is a easy and delicious thokku ,which goes well with Idli, dosa, chapathi and rice too. 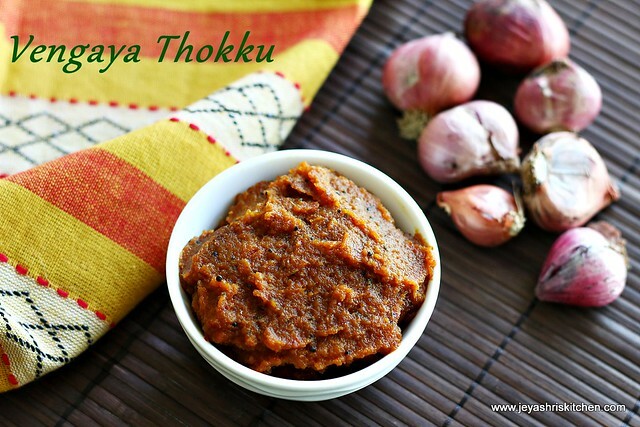 This Onion thokku or thogayal was introduced to me by my mami, during our visit to a family temple in Kumbakonam. 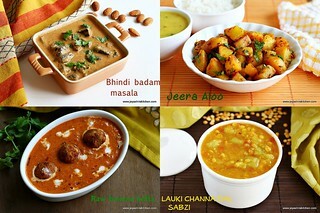 Generally, we pack food when we travel in bus and trains. 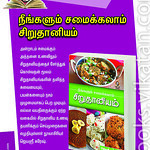 We generally pack puliyodarai or idli milagai podi. 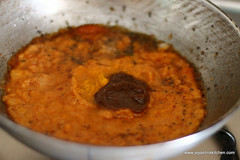 During our visit to a temple, when i was in college, my mami made Idli and made this vengaya thogayal. 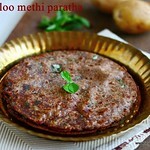 It tasted so awesome and i still don't know how many idlis went inside !!. Both the idlis and thokku was made on the previous day night and was kept outside, as we visited the temple early in the morning. The idlis stayed soft till 9 am and the thokku was too awesome . 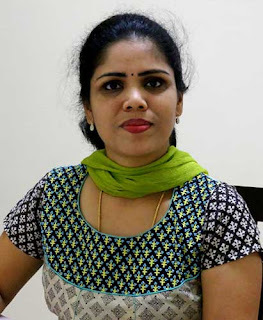 She kept onion thokku in a separate box to pair with curd rice for lunch. 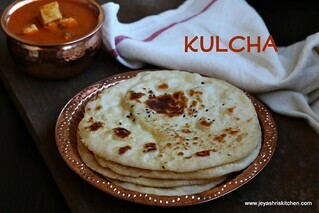 It stayed flavourful and tasted divine with curd rice too. 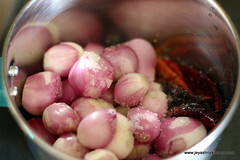 Try this thokku with small onions(shallots) , you can make with big onion too but it won't taste the same. 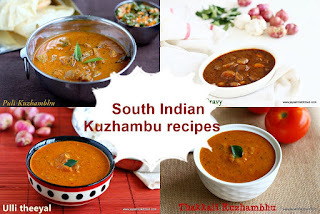 Check out Idli recipe and Curd rice recipe. 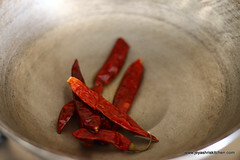 In a pan add few drops of oil and saute the red chilli. Grind this along with the onions and salt. 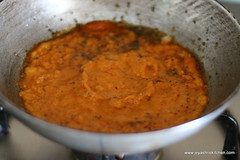 Add the ground onion paste to this and add the tamarind paste and turmeric powder to this. 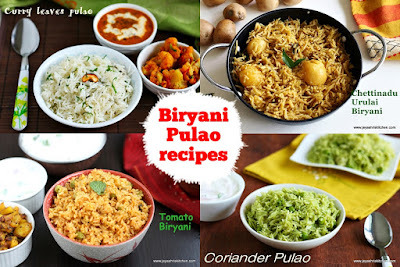 Cook this nicely till the onion paste reaches a thokku consistency and raw smell of onion goes. Cook in a low flame.Stir often. 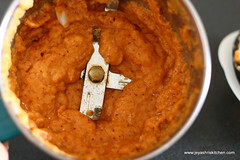 If it is dry add little oil in between. Store this in a dry and clean box. 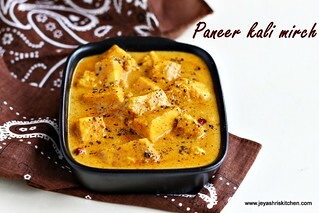 This will stay good in room temperature for 2 days and will be good in refrigerator for 10 days. Small onion ! 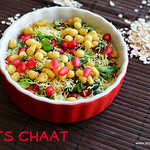 Love it in any form.. looks yum! 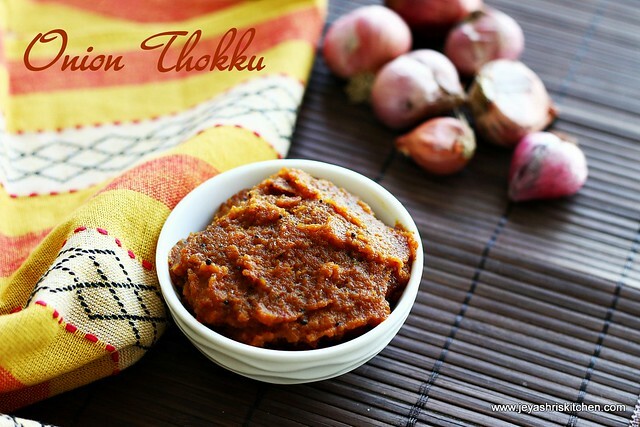 Lovely onion thokku recipe, looks delicious. 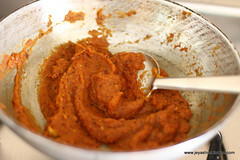 We make this often but with few cloves of garlic, called as onion chutney.